​What does it even look like? Once again, I’m responding to a YouTube Tag by Elysia Lumen Strife. This time on, you guessed it, Author Confidence. ​I enjoy hashtag writing prompts on Twitter. 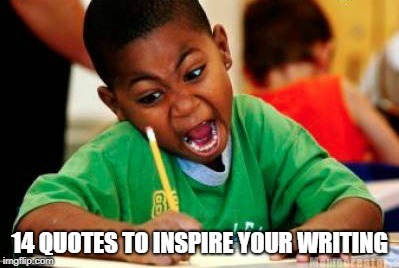 #musemon, #bookishtues, #1linewed, #thurds, #SciFiFri, and #SlapDashSat are my favorites. I've gotten so involved in building the world of Pirth'Vee Grah, and became so inspired by a recently written chapter, that I wrote a side story delving into the mythology of R'Venin and Ka'Ala's world. New Years Resolutions are as effective as The United Nations! I'm on vacation, but I wanted to share two of my favorite New Years songs that make New Years Eve complete.. I hope you enjoy and cuddle up with your favorite guy or gal and do some serious smooching! Today starts Day 1 of 2 with none other than David Farland, The Story Doctor at his Writer's Peak Workshop in Provo, UT. I've been following his blog on writing tips for the past year and I can't begin to describe how much his insights and recommendations has helped me improve my skills. If you're not already on his mailing list, I suggest you get on it NOW! Alien worlds and accidental time travel. Talking plants and nighttime showers. Ghost stories and bloody anklets. Body harvesting and post-apocalyptic wonderlands. Big bushy beards and sour dreams. Shadowy men in black suits and claustrophobic drunks. These are just a few of the many frighteningly strange and weird tales found within these pages. Collected from the most obscure authors, When Glints Collide is an anthology worthy of any short story lover’s bookshelf. i try to post something each Friday, sometimes more successfully than others. Yesterday was one of those unsuccessful timeS as I was traveling to Boise Idaho for a niece's wedding and family gathering. But, if I haven't shared it yet, here's the new cover for my novella, Imprint.